Are You Being Honest with the Data? 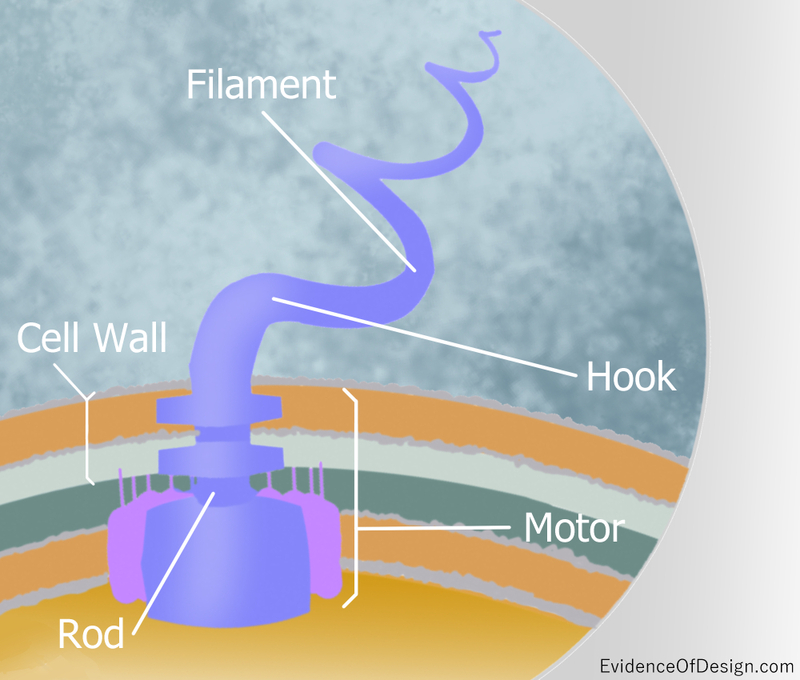 In our last article, we discussed the work of Scott Minnich, Molecular Biologist at the University of Idaho, on the bacterial flagellum motor. The forty parts to this amazingly efficient means of locomotion convinced him that random chance simply could not explain its existence. A favorite term for those who hold this view of intelligent design is ‘irreducible complexity.’ They reason that, if a complex organ were any smaller or simpler, it could not function as it is. If evolution is to be believed, it demands that all life was once simpler, that it evolved from simple to complex randomly without a design or purpose. The apparent design we see in nature today is only coincidentally the same as one would expect were it designed by intelligence. A difficulty with believing that random chance produced complex life is the mechanism for assembling the parts. Remember, Dr. Minnich stated that Darwinism natural selection states by definition that, if a part evolves but has no purpose, it would be lost to the organism. Yet forty parts are needed for this flagellum motor to work. Evolutionists counter that the parts could have evolved for other functions in the organism and then be ‘borrowed’ to assemble the motor. Minnich countered that, at most, this would account for only half the parts. But, let’s say that the forty parts of the bacterial flagellum did evolve in various places in the organism. The greater problem is how the protein parts would be assembled into the most efficient motor in the universe. In cells, assembly is now understood. The assembling ‘blueprint’ is locked into the DNA in the nucleus of every cell. The DNA dictates the order of assembly of the amino acids and the RNA carries it out. Minnich states accurately that, without the blueprint, assembly would be as likely as putting together a line from Shakespeare by throwing out Scrabble tiles on the table. DNA is a code molecule unique to each organism. It is physically what made you and me as we are. It is a blueprint that manufactures. It is like a computer that is able to make products according to its calculations. Who ever heard of such a thing happening in any other part of the universe without massive amounts of time and energy and planning?! I repeat from the last article, intelligent design is not religious. It is an extrapolated cause drawn from scientific observation and falls far short of the Bible’s claim of creation. It is, rather, the honest conclusion that chance will not explain reality and goes no further than that. Is your view or the origin of life honest with the data all around us? 1. Because there exist absolutely no micro organisms without flagellum, and simpler creatures like monkeys and fishes just do not exist. Honestly, that the simplicity of the previous state implies the nonexistence of the previous state is the silliest argument towards design I’ve ever heard. 2. Why can’t there be micro organisms with broken flagellum that still survive, and even thrive, if perhaps it makes it unrecognizable to a certain immune system? 3. I’m a computer scientist. If you represent DNA in a computer through data, and physical processes we know apply, and allow that DNA to represent some physical attributes (for example an algorithm it describes, or of a network, or a sample in a Monte Carlo distribution, or a 3d bug), and evaluate give each physical attribute a fitness level that describes its probability of survival in a world, and kill off ones with low fitness, or run a simulation involving those physical attributes that allows certain ones to breed and certain to die, you always come up with an optimal solution. While this is not as commonly used as an actual simulation of evolution involving bacterium, it is very often used in computer science for the generation of optimal solutions. These algorithms are called genetic algorithms, and they most certainly prove the computational viability of genetic level evolution. Take for example the production of Shakespeare. Let us define the fitness as either being close to popular among literary, sounding old, and being tragic. There were only so many of these after all. Let us assume that at each state, the book length is the same, and that the length is the same as a Shakespear book. At state one the algorithm produces two completely random books. Here, the probability that a random mutation produces Shakespeare is incredibly low. However, at state 2, we generate a population of 30 or so mutated books, by randomly combining 50% of each of the previous two books. We then pick the two of these with the highest fitness, and mutate them. The probability that the 3rd state has a book written by Shakespear is now significantly higher. After millions of iterations of this algorithm, the probability that you will have produced Shakespear gets higher and higher till it is within a reasonable range. In reality, you do not need to show that something has a 100% probability of mutating into X, you just need to show that there exists a mutation into X, and that X does exist, for it to be producible by genetic means. 3. Scientific claims involve reproducible direct evidence. This does not include contradictory evidence. Thus, evolution being false does not imply creation is true. Evolution being false could also mean that everything just blipped into existence without any possible reason, or that everything really was pushed out of mud puddles by a single spherical mud puddle monster. Reproducible evidence means that if a claim is made, it must suggest experiments that if the reader would like to try, if he had infinite money, he could, and that the experiment would be a success. If intelligent design is not a religious statement, then provide a reproducible experiment that would prove that “something” intelligently created some creatures. Not an experiment that the “something” exists, or that the something is all powerful. That the bible has made correct statements is not a reproducible experiment.